Inspired by growing global demand for delicious bourbon, but confounded by the fact that it "takes so long to make," distiller Tom Lix has customized a new whiskey-aging process that speeds up that pesky many-years-in-a-barrel timeline that's held back both bourbons and monkeys for so long. In fact, Lix has the aging process down to a matter of days -- and he's implementing it at his Ohio-based Cleveland Whiskey distillery. While traditional bourbon spends an entire childhood -- generally, anywhere from two to 12yrs -- in fancy, new, charred-oak barrels absorbing the flavors of the wood and other characteristics that come with age and wisdom, the impatient folks at Cleveland Whiskey make it by: a) first letting the liquor sit in a barrel for six months (the minimum amount of time required for something to legally be called a bourbon), then b) transferring it to stainless steel vats, adding pieces of American oak, then, c) like an overbearing parent, applying an insane amount of pressure to said vats, which essentially pushes the liquid in and out of the pores of the pieces of wood (like a sponge). In under a week... ta-da! 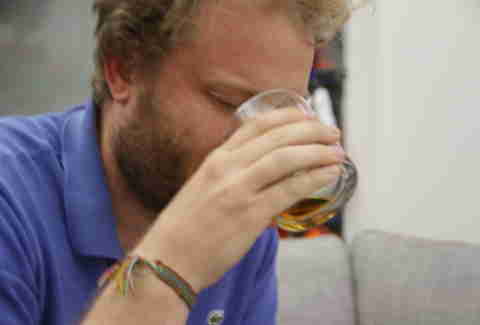 Sweet, sweet, real bourbon -- which Lix thinks is comparable to one that's spent 10yrs maturing the old-fashioned way. 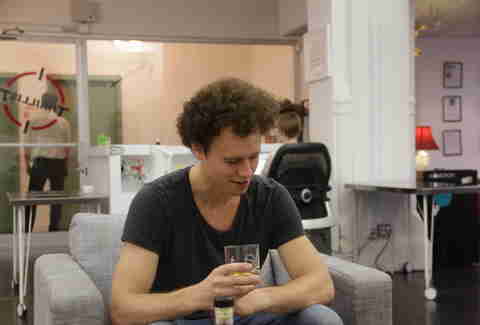 "I'm not that sophisticated -- I just think it tastes really good," Lix says. 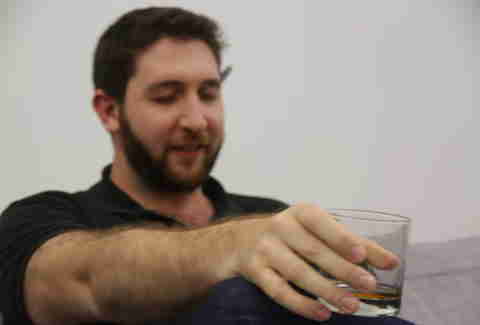 "The quest was: could we create a bold-tasting whiskey that was also smooth at the same time? I think we’ve done that." 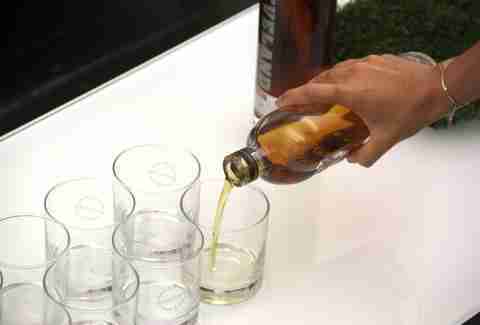 We gathered a few local liquor experts at Thrillist HQ to try Cleveland Whiskey's magical offerings. 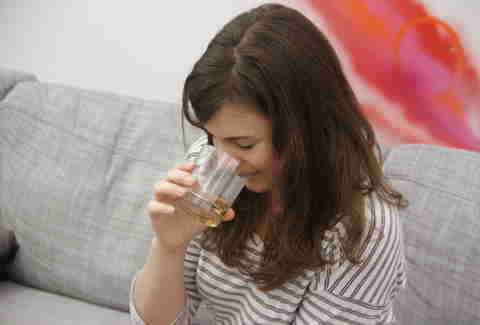 To ensure an unbiased test, we had our guinea pigs try two bourbons... WHILE BLIND! Okay, fine, not literally; we just made them close their eyes and pinky-promise in the eyes of the Old Gods and the New not to peek while we poured them a dram each of Cleveland and Bulleit. Could they tell the difference between the flashy, modern sipper and the classic? Did they agree with Lix's assessment? Would they appreciate that Game of Thrones reference from earlier? This one smells almost like a whiteboard marker -- that fruity, alcoholic scent. 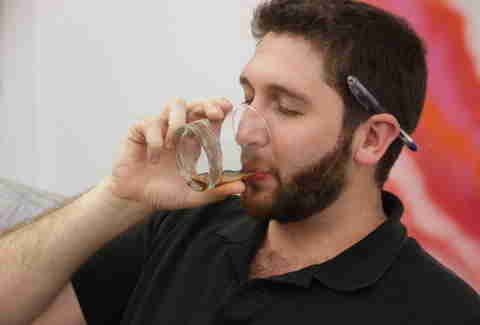 I taste a lot of vanilla, oak-y, woody notes. There's a really short finish -- it doesn’t evolve. You taste a lot up front, and then it sort of disappears. Not an old-fashioned, but in a cocktail that didn’t showcase the bourbon, it certainly wouldn't be bad. Lots of spice. 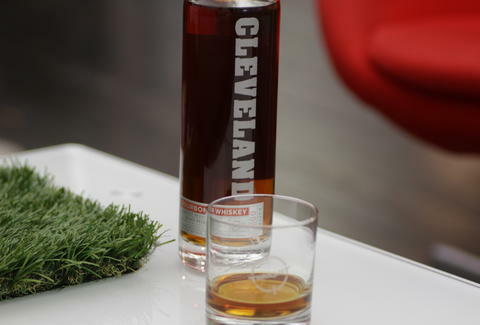 I actually like [the Cleveland] -- it’s a little more full-flavored. This is more unusual... leathery... musty... heavily-wooded. It might be good in cocktails. It reminds me of Knob Creek, of a whiskey that's pushed the wood too far. Time allows for the mellowing of a whiskey, but this one is so robust, with that barrage of flavor... The proof matches the intensity. It's right for the spirit. I can tell right away this is the Cleveland whiskey. 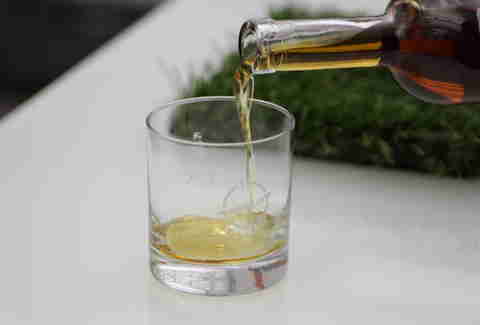 It's got a really pronounced corn smell, and a flavor that's more like a white whiskey, and a hotter finish -- a little more burn. Yeah, I get much more of the mash than the actual oak and vanilla on the nose. I'm not saying I don't like it -- I do like it, but... it’s definitely a different style than a typical bourbon. So it tastes unaged to you? Could it be used in a cocktail? I wouldn't just substitute it for another bourbon. It would be different. I like grapefruit and honey with white whiskey, and, so far, that’s the strongest flavor that I get from it. It might be a little more burn-y? To me, it’s kinda the same. I don’t really get “sweet” -- I get a sort of viscosity, a cloyingness. Maybe you should cut the part where I call it "burn-y"? So, what's the "Everyman"'s verdict? It's not my top choice, but, sure, I would drink it. Now seriously, can you take out the "burn-y" stuff? I feel like I'm losing credibility over here. *Note: Interviews have been edited and condensed. Also, we didn't take out the "burn-y" stuff.